Tim is a plantsman, a historian, an entertainer and a fine fellow! Tim is one of the managing Directors of Urban Wilderness, having founded the company in 2010. Tim’s focus is based around the provision of high quality, multi-functional public spaces which both delight and entertain whilst enriching the natural environment. Tim became a Chartered Member of the Landscape Institute in 2006. Prior to this, Tim completed an Honours degree in Medieval Studies at Manchester, an HND in Horticulture and Plantsmanship at the Royal Botanic Gardens Edinburgh and a Masters of Landscape Architecture at the Edinburgh College of Art. 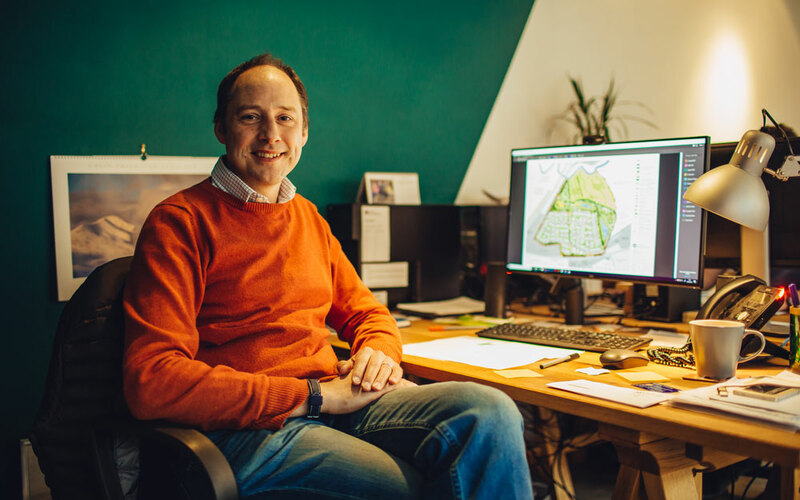 Tim has worked on a range of design projects ranging from new University campus infrastructure and Public Park Historic Restoration through to residential masterplanning and landscape design for a new Benedictine monastery in the North York Moors. Tim’s experience as a plantsman and love of plants generally provides a distinctive offering to clients. Tim’s expertise ensures that plant choice is well-informed, sensitive to local landscape character and ecology whilst also producing imaginative and robust soft landscape solutions for our clients. Tim mentors several staff on the Landscape Institute’s Pathway to Chartership programme. He also works as a part-time landscape course tutor at the University of Sheffield and has served as a member of the Professional Review Group for Sheffield Hallam University.